December 7, 2016, New York City Fourth time’s a charm. Mike Piazza has been elected by the Baseball Writers of America to be inducted to the 2016 Hall of Fame. The twelve time All-Star received 83% of the votes by the Baseball Writers of America, while he only received 69.9% last year. Piazza leads all catchers with 427 Homeruns along with a .922 on base plus slugging percentage. 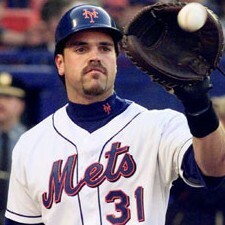 With Piazza being elected into the Hall of Fame, he becomes the first catcher to be inducted since Gary Carter in 2003. Piazza wasn’t the only player inducted. Ken Griffey Jr. was inducted into Baseball’s Hall of Fame as he received the most votes getting 99.32% of the votes. In Ken Griffey Jr’s. 22 year career, he finished his career with 630 homeruns. Today’s Hall of Fame inductees are both the highest and lowest draft picks in the Hall of Fame. Ken Griffey Jr was drafted in the first round with the very first pick overall in 1987 and was up at the big league level two years later while he was still a teenager. Piazza was an unwanted junior college first baseman that was taken by the Los Angeles Dodgers in the 62nd round of the 1988 draft, as a favor to his father’s long time friend manager Tommy Lasorda. The only condition was that he would have to convert and become a catcher.